Water filters come in a wide range of styles, but carbon water filters are by far the most common. 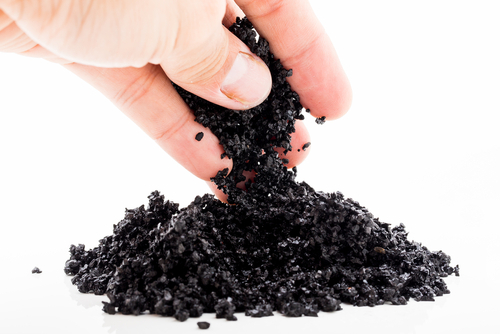 Activated carbon is added to all kinds of water filtration systems in various forms — most often granular activated carbon or carbon blocks — to thoroughly filter out small contaminants from water. This method of filtration has been used for centuries, and historians believe that ancient Egyptians stored water in charcoal to keep it fresh and to preserve its taste. 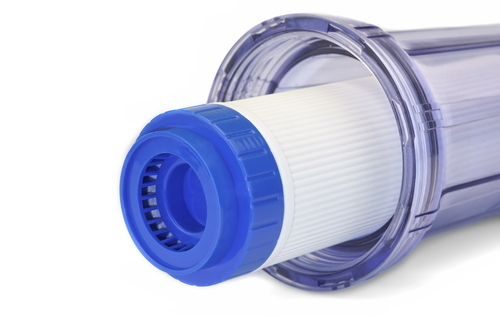 When we think of water filters in general, we’re most likely thinking of carbon filters. 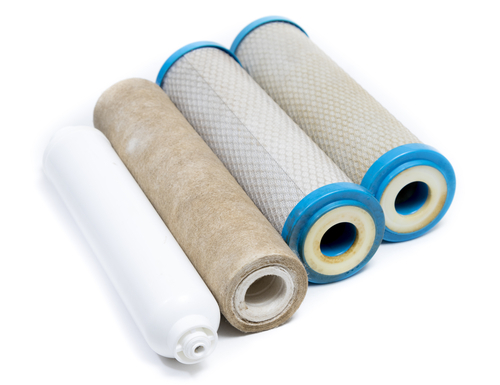 These filters are capable of removing chemicals, including chlorine, benzene, radon, solvents, volatile organic compounds (VOCs), herbicides, and other manmade chemicals that can seep into your water supply. How does it work? Carbon filtration relies on chemical adsorption, which is just a fancy way to say that the carbon absorbs and traps any unwanted particulates. Be sure to look for carbon filters with a high flow rate (usually rated in gallons per minute) and those that are certified by the National Sanitation Foundation (NSF). We know that choosing the right water filters can be challenging, but we’re always here to help. Here’s our list of the best carbon water filters in our store. 1. Pentek Radial Flow Carbon Filter — If you’re looking for a top-quality high-flow carbon water filter, this Pentek filter is an excellent choice. 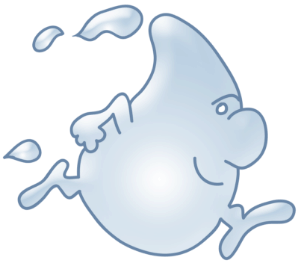 It is NSF Certified for material requirements and is proven to reduce the taste and odor of chlorine from your water. This filter has a micron rating of 25 with the ability to reduce chloramine at a rate of 25,000 gallons at 2.5 GPM (gallons per minute). All of Pentek’s carbon water filters are highly rated for performance and quality. 2. Everpure Water Filters — Everpure refrigerator carbon water filters are most commonly used in commercial food service applications, but their line of residential water filters is equally as impressive. These commercial-grade home water filters reduce lead to below the Federal Action level of 15 ppb, volatile organic compounds (VOCs), cysts, and chlorine taste and odor from your water using a carbon powder. They’re also made to help improve efficiency and water flow performance. 3. Filtrex Carbon Block Filter — Filtrex is unique in that they produce carbon water filters made with materials that are designed to significantly reduce harmful greenhouse gas emissions. In the case of this filter, it’s the high-performance coconut shell carbon — yes, it’s actually made from coconut shells! — that makes the product extra eco-friendly. This filter offers an exceptionally low-pressure drop and a filter rate of 1 micron. It has the capacity to filter 20,000 gallons at 1 GPM. 4. Homeland Coffee Brewing and Ice Filter — Want super-clean and fresh water for your coffee brewer or ice maker? You can’t go wrong with this Homeland carbon block filter. Not only does it significantly reduce the taste and odor of chlorine in your water, but it also seriously limits lime scale and bacteria buildup, keeping your coffee-brewing or ice-making equipment in great shape. This filter offers a 1.5 GPM flow rate and is NSF certified. 5. Everpure Carbon Block Prefilter — This great filter has the capacity to filter dirt and small particles as small as 5 microns from your water, ensuring that it’s always clean and fresh no matter what. Of course, like most carbon filters, the Everpure version is highly effective at removing the taste and smell of chlorine from water. This is a good choice for a wide range of water filtration applications, including food service, office, vending, and more. 6. OmniPure Carbon Block Filter — This super-versatile carbon water filter can be used to filter out particles as small as 1 micron from water in your ice maker, refrigerator, beverage equipment, drinking fountain, under-sink system, or reverse osmosis system. It features a carbon block filtration medium that helps reduce the taste and odor of chlorine while simultaneously reducing cysts, class 1 particulates, and other contaminants. 7. Samsung Refrigerator Water Filter — Samsung’s high-quality refrigerator water filters are consistently rated some of the best by consumers. They use an effective, activated carbon medium to filter out 99 percent of potentially harmful contaminants, ensuring clean and tasty drinking water and ice, straight from your fridge. These filters are also popular because they offer easy installation with no tools required.